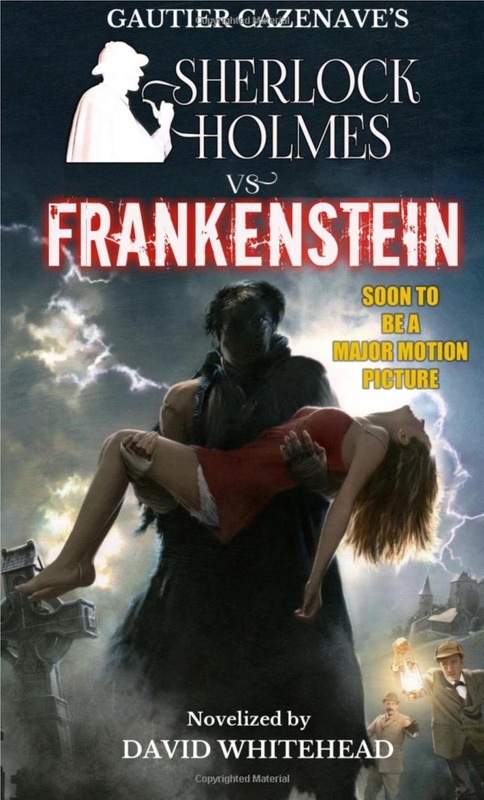 Another Holmes Frankenstein monster mash-up adventure, this one promising to "soon be a major motion picture." This is a novelization of an unproduced screenplay by Gautier Gazenave. Only the most intriguing mystery could lure Sherlock Holmes from the comfort of Baler Street in the winter of 1898 ... and it came with the ghastly murder of a gravedigger in the most bizarre of circumstances. Thus it was that Holmes and Watson travelled to the tiny German village of Darmstadt to unmask a callous killer with an even more terrifying motive ... and all within the long, ominous shadow of Castle Frankenstein.